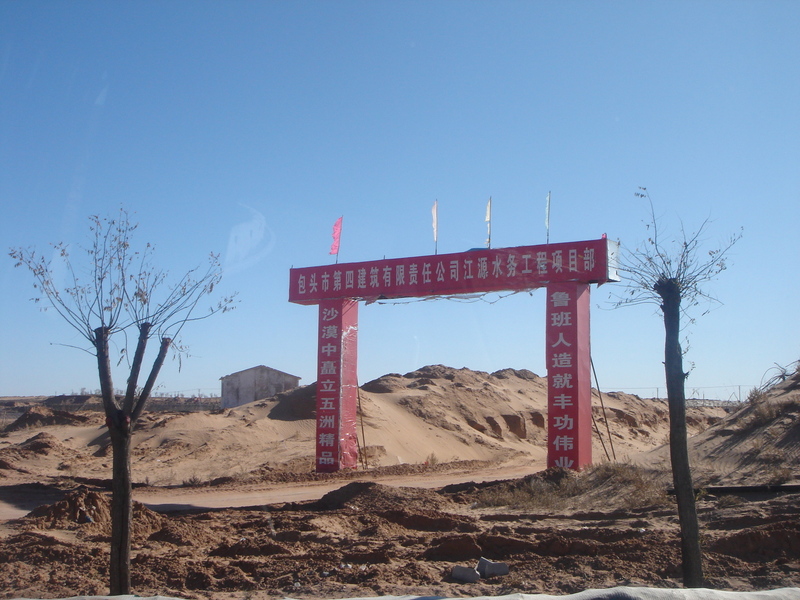 In mid-November 08 I joined Ma Qingyun, Dean of the School of Architecture at USC, and his team to visit a new architectural project sponsored by Jiang Yuan Water Engineering Ltd in Inner Mongolia known as Ordos 100. 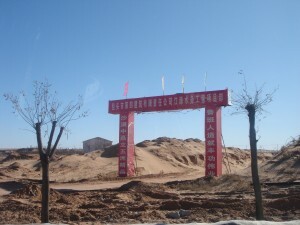 The city of Ordos is a 2-hour flight west of Beijing and it is one of many new “overnight” cities built by the Chinese government in out of the way rural locations to settle vast still sparsely inhabited regions. 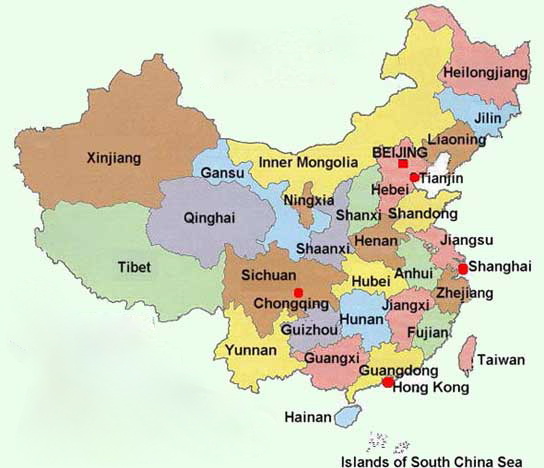 It was founded in 2001 and by 2004 had 1.36 million inhabitants, a conservatively sized town by Chinese standards. Ordos is just south of the Gobi desert and Baotou, Inner Mongolia’s largest city and Hammer Projects artist Song Kun’s hometown, and just out of reach of the Yellow River. 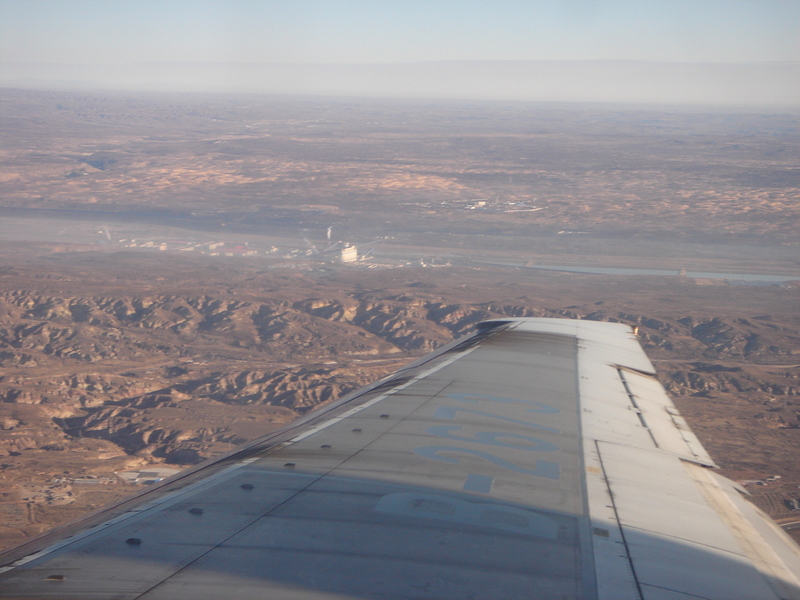 It is arid and empty as far as the eye can see. The weather is brutally cold in the winter, but the spring and summer brings an amazing transformation from wasteland to grassland. 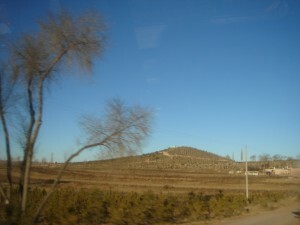 This is one of Inner Mongolia’s most noted features, the vast sweeping green grasslands. November was bitter cold already but the air was clear and the sky a brilliant blue. 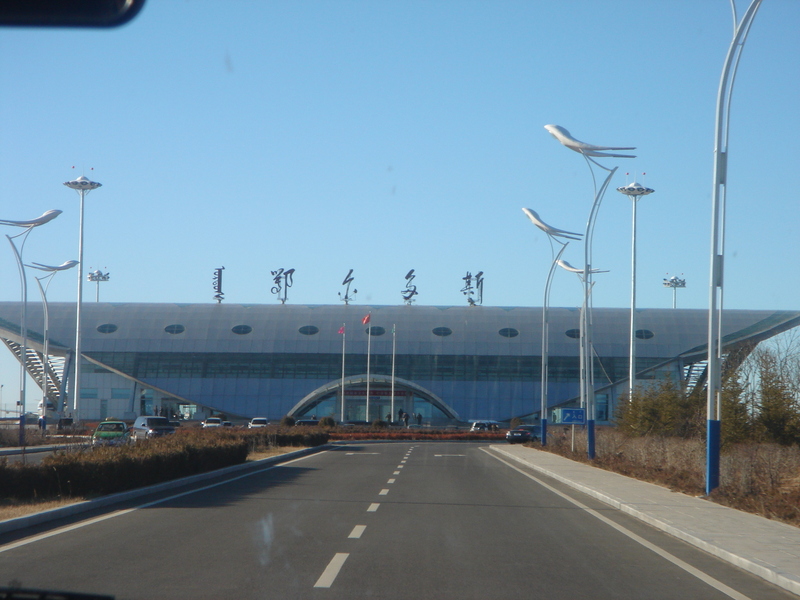 We landed at the Ordos airport, which was, at the present time at least, isolated and in the middle of nowhere. We then drove an hour or so to get to the city and then beyond to the project site. 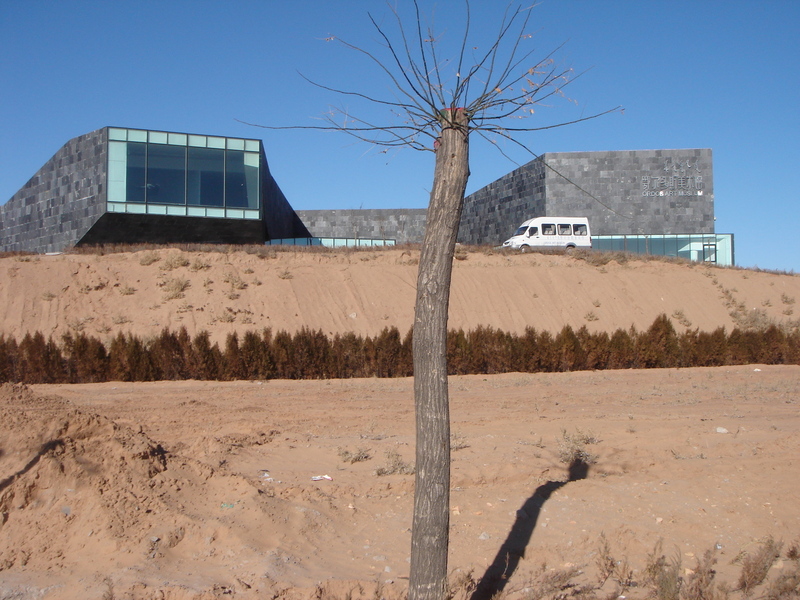 I was invited as a cultural observer for potential future curatorial collaborations with the project and the already built Ordos Art Museum. 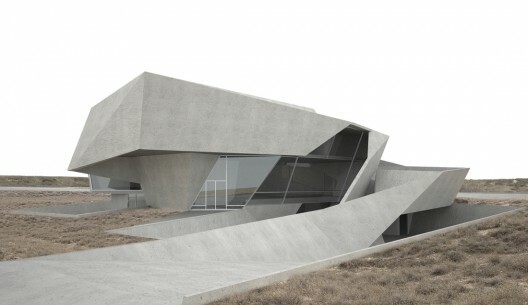 This is a fascinating project conceived by Cai Jiang, a Chinese businessman and art collector, to invite 100 young international architects to design a 1000 square meter villa each, which will be built into a new desert community just outside Ordos, a new Marfa, Mongolia perhaps. 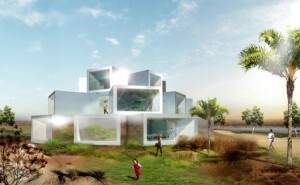 Herzog and de Meuron have selected 100 emerging architects from 27 countries. 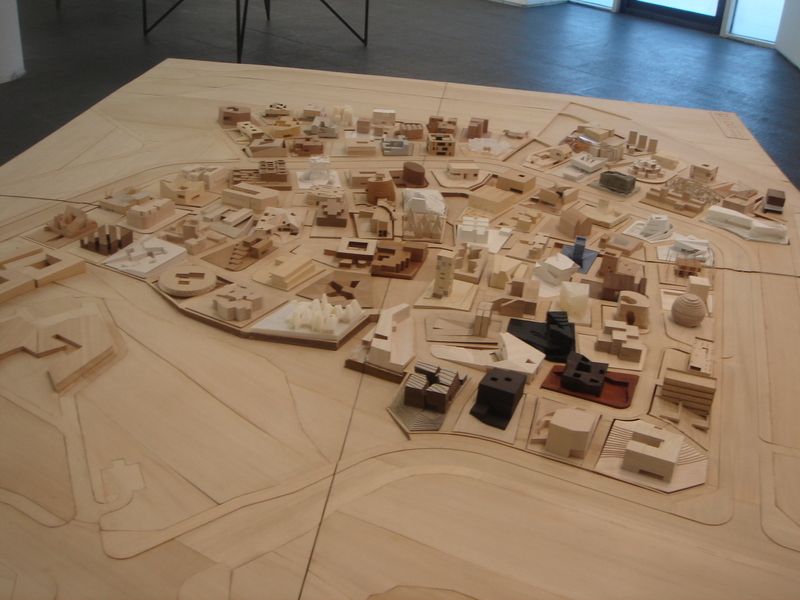 Ai Weiwei (FAKE Design) has developed the master plan and is curating the venture. This project is now the talk of the architectural world but at first was almost completely ignored. I was told that the first round of invitation letters were largely rejected, even deposited into the trash. No one believed that something like this could or would ever happen especially in such a remote place. 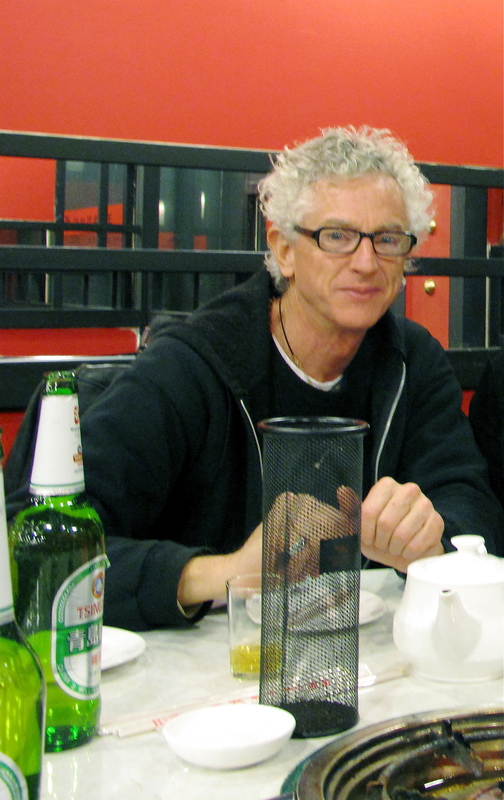 But, in China, everything seems possible. After Herzog and de Meuron and Ai Wei Wei signed on the invited architects began to take it more seriously. Still a bit skeptical, but with nothing to lose, architects began designing their dream villas that might never be built in the ‘real world.’ When I was there not a lot had been built yet but ground had been broken for Phase I, the first 28 parcels of land. 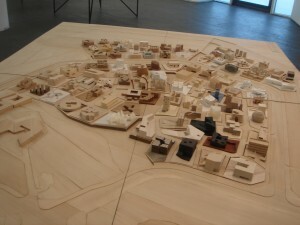 Phase II, the remaining 72 parcels, was scheduled to begin in the spring 09. The Ordos Art Museum has been opened since August 2007 and was exhibiting Mr. Cai Jiang’s contemporary art collection and the architectural models for the Ordos 100 project when I visited. 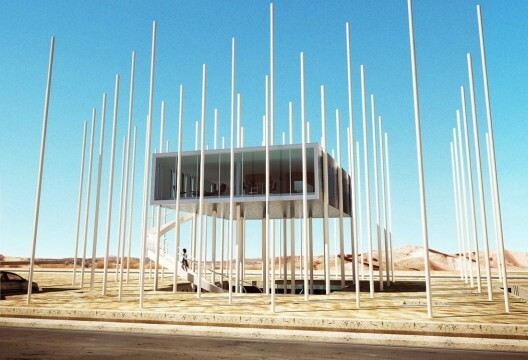 It was quite an amazing and surreal sight to see this gleaming modernist structure all alone jutting out of the ancient and barren earth on a desert plateau in Inner Mongolia, confidently waiting for something we cannot see yet. 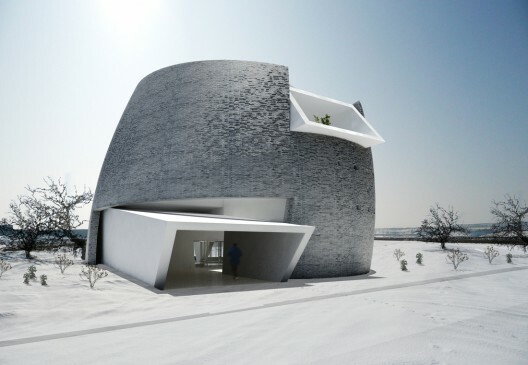 But as things go in China, in time and with Cai Jiang and partners’ vision for sponsoring commissions for emerging and high profile international and Chinese architects, it will soon be the center of a unique architectural culture for this country and even the world. 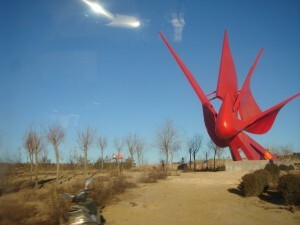 Ordos 100 has already begun making a cultural impact, at the end of May 09 a new architecture prize was announced, the Ordos Prize. 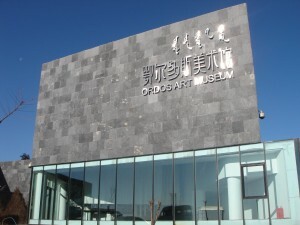 It was founded by Ma Qingyun, and co-sponsored by the city of Ordos and the Jiang Yuan Cultural & Creativity Development Co. 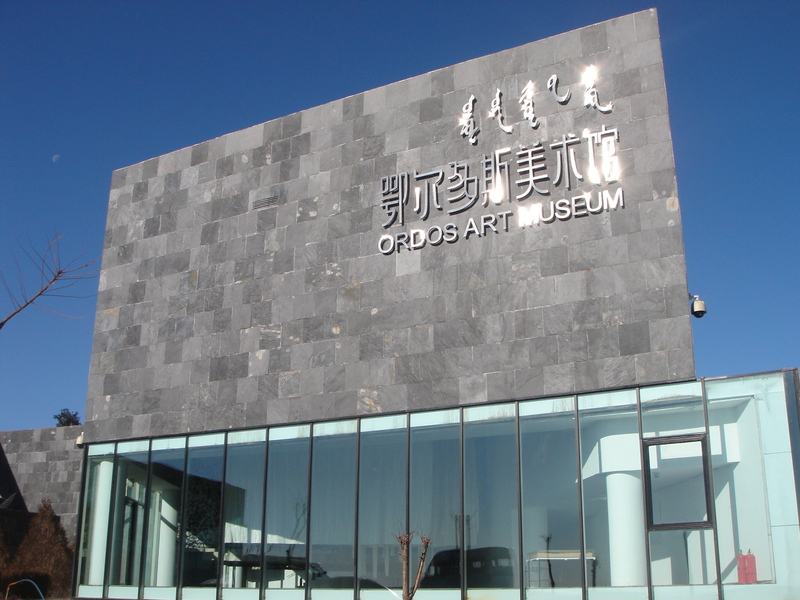 The Ordos Prize is the first architecture prize to emerge from Asia, and is China’s first international prize for architectural (or any) achievement. Ordos dinner; Ma Qingyun center. 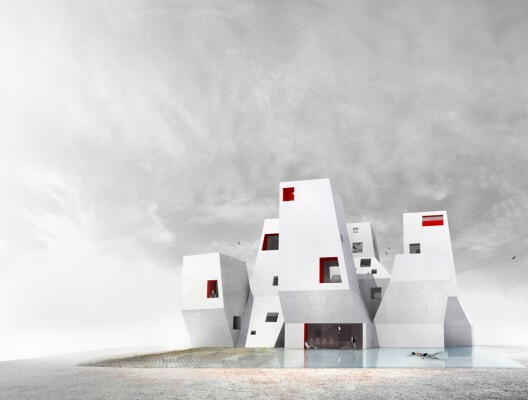 Candidates for the prize are being nominated by a panel of preeminent global architects: Ben van Berkel, Stefano Boeri, Liz Diller, Jacques Herzog, Thom Mayne, Pierre de Meuron, Enrique Norten, Kazuyo Sejima, Wang Shu and Robert A. M. Stern. The jury is comprised of “visionaries with diverse backgrounds not limited to architecture, including all fields in the arts and sciences;” Rem Koolhaas, Yun Feng, Lauren Bon, Zhiyuan Cui, Robbi Finkel, and Ma Qingyun. The inaugural prize will be awarded on August 20, 2009 in Ordos. Map of China showing Inner Mongolia.